Versadial’s call recorder is compatible with Skype for Business (MS Lync) platform. For details about our software UI and features please see our VSLogger Unlimited Call Recording page. 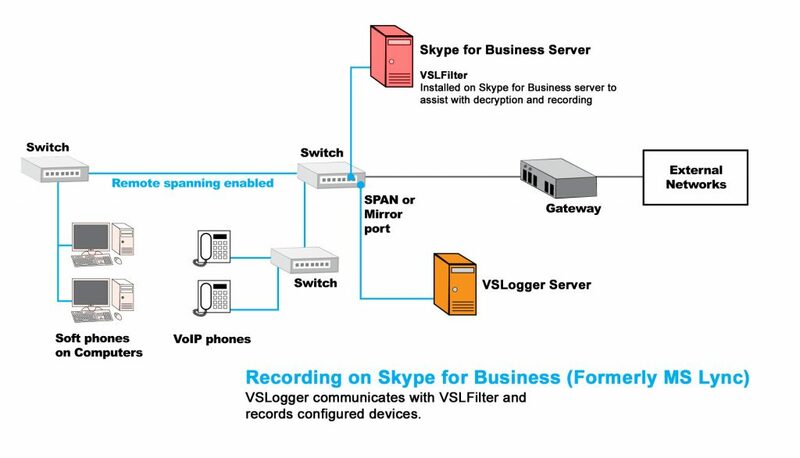 Versadial currently offers the following method to record MS Lync (Skype for Business): Calls signaling info is collected directly from the Lync server, via VSLFilter Utility (provided as part of the Versadial recording Solution); Audio is collected from the network switch mirror port(s). For a complete list of Supported PBX and Phones, please click here. How we connect to your phone lines! Visit Call Recording Scenarios Page for details on how Versadial connects to your particular phone system.